Aimee and her husband have called Windsor home since 1990, raising two sons that attended and graduated from Windsor Public Schools. During their school years, she served as president of both Clover Street School PTA and Windsor High School PTSA. Professionally, Aimee has worked at LEGO Systems, Inc. since 1993 and is currently Director of Project Excellence. 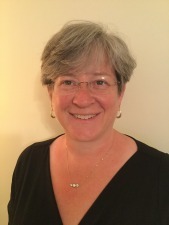 She holds a BS in management engineering from Worcester Polytechnic Institute, and an MS in operations management from Rensselaer Polytechnic Institute. Aimee serves as secretary for the Foundation.